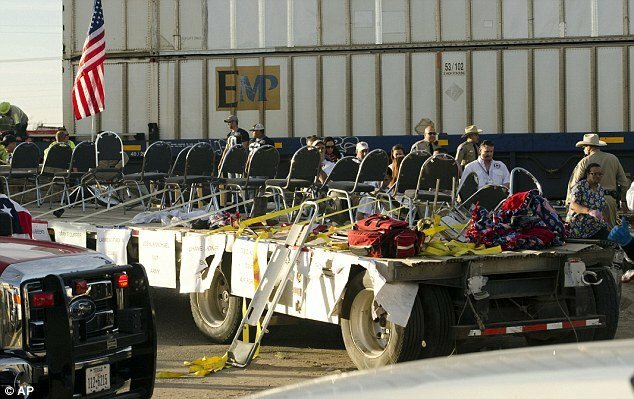 Home Tags Posts tagged with "parade route"
A freight train in Texas has crashed into a parade float carrying wounded veterans en route to a charity benefit in Midland, Texas, killing four people and injuring 16 others. The crash happened at a railroad crossing in the city of Midland, as the flat-bed truck was on its way to an event honoring wounded US veterans. The crossing gate and lights were reportedly working and an investigation is under way. One eyewitness said the float became stuck at the crossing. The veterans and relatives were heading to a banquet, which has been cancelled. 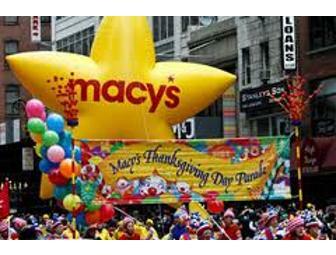 According to the local officials, the float hit by the train was the second being pulled along the parade route. The first had already safely crossed the railroad. Officials say the eastbound train was sounding its horn before it struck the float with 26 people on board. Panic reportedly swept through those on the trailer as the locomotive approached, with eyewitnesses saying some people jumped off the float. Patricia Howle, who was waiting at a nearby traffic light, told KOSA-TV: “People on the trailer saw the train coming and they were flying in every direction. “I’ve been through five combat tours, and this is worse than probably, getting blown up,” Michael Morris, who said a good friend had died in the accident, told the Odessa-American. Spokesman Tom Lange said a preliminary investigation indicated the crossing gate and lights were working at the time, though he said he did not know if the train crew had seen the float approaching. “There is going to be a very thorough investigation,” Tom Lange said. Eyewitness Daniel Quinonez said the second float “could not go anywhere because of the other one being right in front of it”. “I just saw the people on the semi-truck’s trailer panic, and many started to jump off the trailer,” Daniel Quinonez told the Associated Press news agency. “But it was too late for many of them because the train impacted the trailer so fast,” he added. National Transportation Safety Board spokesman Peter Knudson says his agency is investigating the crash. Ten of the 16 injured people were later released from hospital, but at least one person remained in critical condition.